Well, that was quick. Four days ago we mentioned that the British electronics retail chain Maplin was being offered for sale, and today it has been announced that no buyer has been found and the company is going into administration. We dealt with all the nostalgia for what was roughly a British equivalent to Radio Shack in our previous post. Perhaps now it’s time to look beyond the jumpers-for-goalposts reminiscences about spaceships on the catalogues for a moment, and consider what this means for us in 2018. It’s fairly obvious that a retail model for selling either electronic tat or components is no longer viable in an age of online ordering and availability of almost anything at knock-down prices for anyone prepared to wait for a packet from China. This applies on both sides of the Atlantic, but for British retailers, the killer combination of very high rents and local business taxes makes it particularly difficult. Maplin were extremely convenient when you needed a part immediately, but the universal reaction from Hackaday readers was that they were overpriced. 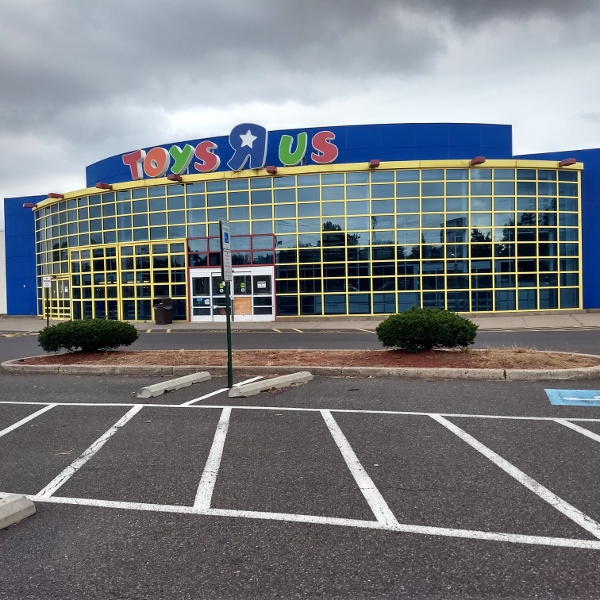 It’s the same story that has cleared away numerous chains in other sectors, and the toxic view that retail property is still the goldmine it might have been in decades past is largely responsible. Despite all that, there must still be some demand for electronic components at a retail level even if the economics no longer support a showroom model. Perhaps a trade counter operation might have better luck, it will be interesting to see whether suppliers such as RS Components or CPC expand their networks to try to capture that business. Whatever happens, we’ll keep you posted. If you are an American Electronics Enthusiast of a Certain Age, you will have misty-eyed reminiscences of the days when every shopping mall had a Radio Shack store. If you are a Brit, the name that will bring similar reminiscences to those Radio Shack ones from your American friends is Maplin. They may be less important to our community than they once would have been so this is a story from the financial pages; it has been announced that the Maplin chain is for sale. Maplin started life as a small mail-order company supplying electronic parts, grew to become a large mail order company selling electronic parts, and them proceeded to a nationwide chain of stores occupying a similar niche to the one Radio Shack fitted into prior to their demise. They still sell electronic components, multimeters, and tools, but the bulk of their floor space is devoted to the more techy and hobbyist end of mass-market consumer electronics. As the competition from online retailers has intensified it is reported that the sale may be an attempt to avoid the company going into administration. It’s fair to say that in our community they have something of a reputation of late for being not the cheapest source of parts, somewhere you go because you need something in a hurry rather than for a bargain. A friend of Hackaday remarked flippantly that the asking price for the company would be eleventy zillion pounds, which may provide some clues as to why custom hasn’t been so brisk. But for a period in the late 1970s through to the 1980s they were the only place for many of us to find parts, and their iconic catalogues with spaceships on their covers could be bought from the nationwide WH Smith newsagent chain alongside home computers such as the ZX Spectrum. It’s sad to say this, but if they did find themselves on the rocks we’d be sorry to see the name disappear, but we probably wouldn’t miss them in 2018. One of the things Maplin were known for back in the day were their range of kits. We’ve shown you at least one in the past, this I/O port for a Sinclair ZX81. Footnote: Does anyone still have any of the early Maplin catalogues with the spaceships on the cover? 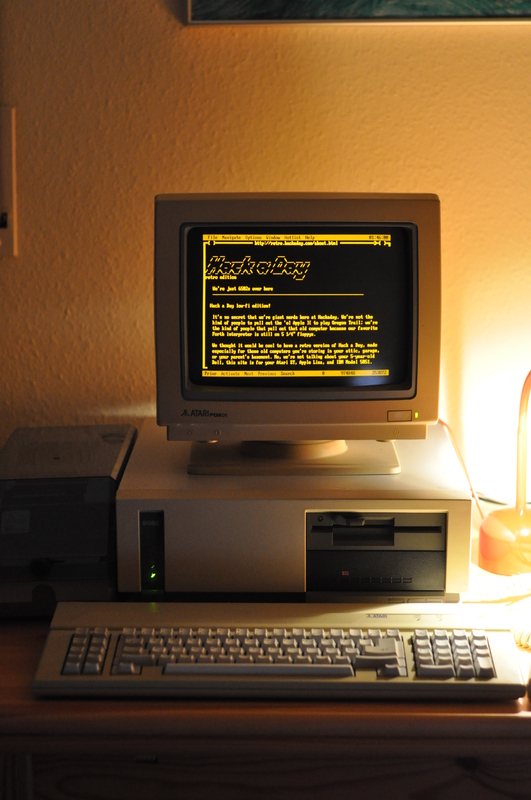 Ours perished decades ago, but we’d love to borrow one for a Retrotechtacular piece. Maplin store images: Betty Longbottom [CC BY-SA 2.0], and Futurilla [CC BY-SA 2.0]. We’re not sure if this is art, anti-snooping guerilla warfare, or just a cheeky hack, but we do know that we like it! [Jasper van Loenen]’s Linger keeps the SSIDs that your cell phone (for example) spits out whenever it’s not connected to a WiFi network, and replays them after you’re gone. Some retail stores and other shady characters use MAC addresses and/or the unique collection of SSIDs that your phone submits in probe requests to fingerprint you and track your movement, either through their particular store or across stores that share a tracking provider. Did you know that you were buying into this when you enabled “location services”? Did the tracking firms ask you if that was ok? Of course not. What are you going to do about it? No matter how you feel about RadioShack, for many hackers it was the one place that components could be sourced locally. Upon hearing that the stores are being shuttered (at least for those seeking non-cellphone items) we wondered if someone would rise to meet the maker market. The answer may actually be mom-and-pops — independent stores owned by people passionate about hacking and making. At SXSW Create in March the Hackaday booth was right next door one such establishment. [Martin Bogomolni] is hard at work launching his brick and mortar store called Tinker & Twist. In the video below he speaks briefly about the concept of the store, which focuses on curating the best products and tools available and stocking them locally. The store will be located in a shopping mall in Austin, Texas. But it takes about 100 days launch a storefront considering the permits and build-out. [Martin] decided to take the store to the hackers by exhibiting (and selling products) at SXSW Create. How else would you do this than by building a store-front as your booth? The store’s sign was CNC routed from rigid foam, and combined with a set of columns and storefront window. We stopped by late on the last day of the event and they had been having a great weekend. What started as a very well stocked set of shelves looked nearly bare. Tinker & Twist is just the most recent in a growing trend of standalone stores focusing on hackers and makers. Our friends at Deezmaker in Pasadena, CA gave us tour last year. They’ve married the concepts of hackerspace, small-run manufacturer (in the form of their 3D printers), and retail store all-in-one. These types of examples make us quite happy — it’s been years since RadioShack was tightly focused on those actually building things. We hope to see more stores like Tinker & Twist up and running to support and enhance hacker communities everywhere.